The U.S. bids farewell to former President George H.W. Bush at a state funeral in Washington attended by top American political figures, along with current and former leaders from throughout the world. 1 The flag-draped casket of former President George H.W. 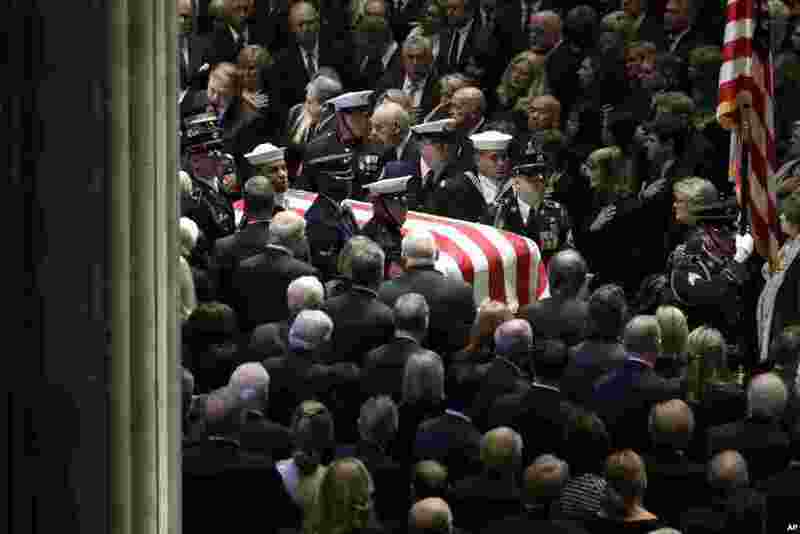 Bush is carried by a military honor guard into a State Funeral at the National Cathedral, Dec. 5, 2018, in Washington. 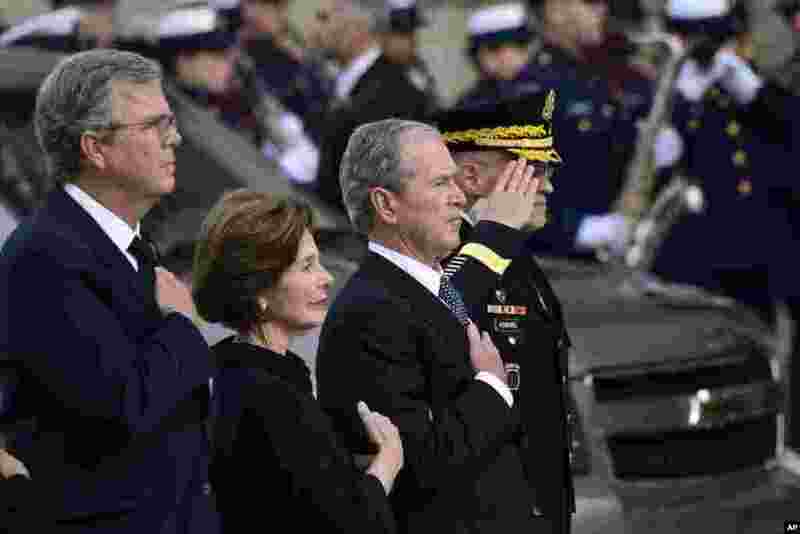 2 President George W. Bush, his wife Laura Bush and brother Jeb Bush watch as the casket of former President George H.W. Bush arrives at the National Cathedral, Dec. 5, 2018, in Washington, for a State Funeral. 3 The flag-draped casket of former President George H.W. 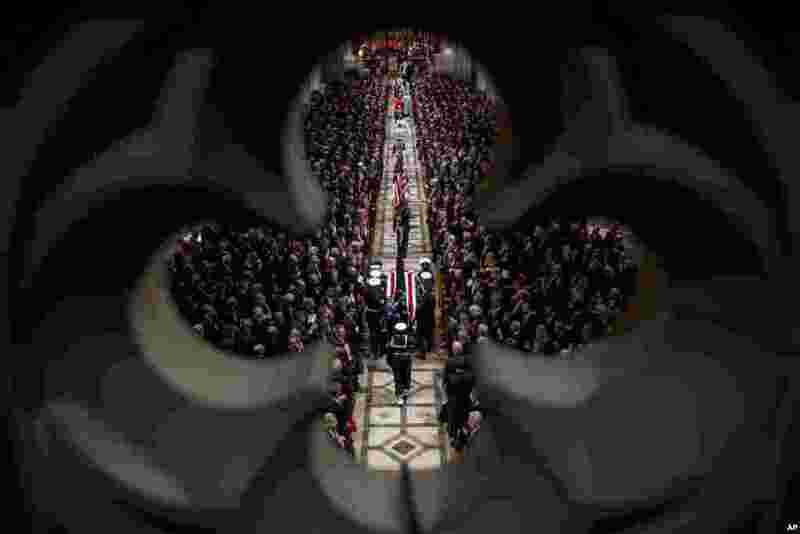 Bush is carried by a military honor guard during a State Funeral at the National Cathedral, Dec. 5, 2018, in Washington. 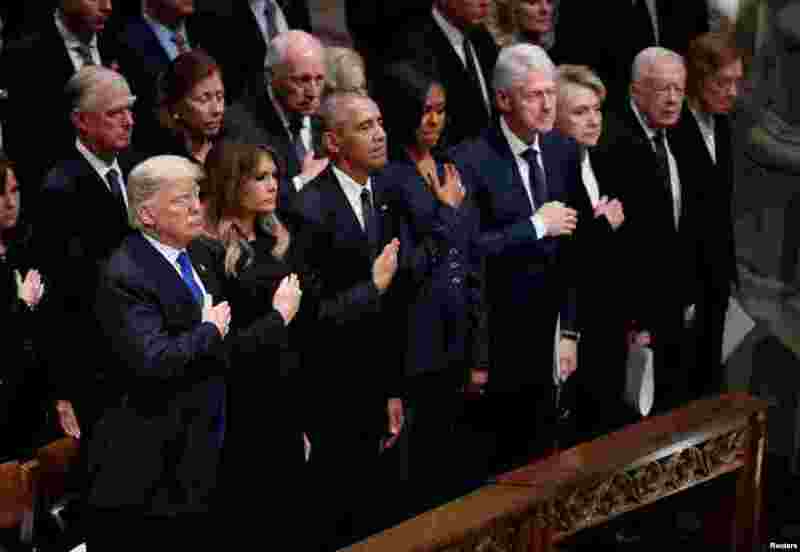 4 President Donald Trump and first lady Melania Trump stand with former President Barack Obama, former first lady Michelle Obama, former President Bill Clinton, former first lady Hillary Clinton, former President Jimmy Carter and former first lady Rosalynn Carter in the front row at the state funeral for former U.S. President George H.W. Bush at the Washington National Cathedral, Dec. 5, 2018.